Former Lebanese prime minister Saad Hariri. This post is hosted on Vocal Europe‘s Contributor platform. Contributors control their own work and post freely to our site. If you need to flag this entry as abusive, send us an email. The dramatic changes currently roiling Lebanon and the wider Middle East following the resignation of Lebanese Prime Minister Saad Hariri reportedly began after a meeting in Beirut last Friday between the PM and Ali Akbar Velayati, the international affairs advisor to Iran’s Supreme Leader Ayatollah Ali Khamenei. 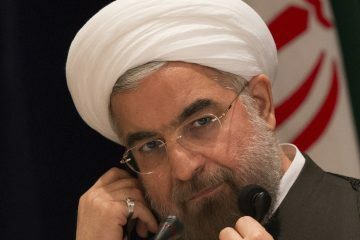 According to a report from an Iranian media source, the official representing the Iranian regime, which is increasingly openly acknowledging and boasting about its control of the region, threatened Hariri during the meeting that if he did not reject the US’s supposedly anti-Hezbollah stance, Lebanon would be thrown into chaos and Hariri would meet the same fate as his father, the former president Rafic Hariri, who was assassinated on February 14, 2005; five Hezbollah members are on trial for that assassination, with the Assad regime also believed to have been involved in its planning. The next day, Saturday November 4th, Hariri fled into exile in Saudi Arabia, submitting his resignation from the kingdom later that day. Prior to this, Iran, which has long had de facto control over crucial Lebanese government decisions via its proxies in Hezbollah, had largely insulated the country from crises and attempted to maintain its veneer of political neutrality in regional affairs, despite the reliance of Bashar al Assad’s regime on Hezbollah to help keep him in power. Hariri’s sudden and unexpected resignation was not just a shock to Iran, which apparently expected him to comply with Velayati’s reported threat, and to Lebanon and the region; it also signals the beginning of a new chapter for the international coalition, which is now reportedly taking a firmer stance against Hezbollah. In a televised address broadcast on Saturday from Riyadh, Hariri said, “We are living in a climate similar to the atmosphere that prevailed before the assassination of martyr Rafik al-Hariri. 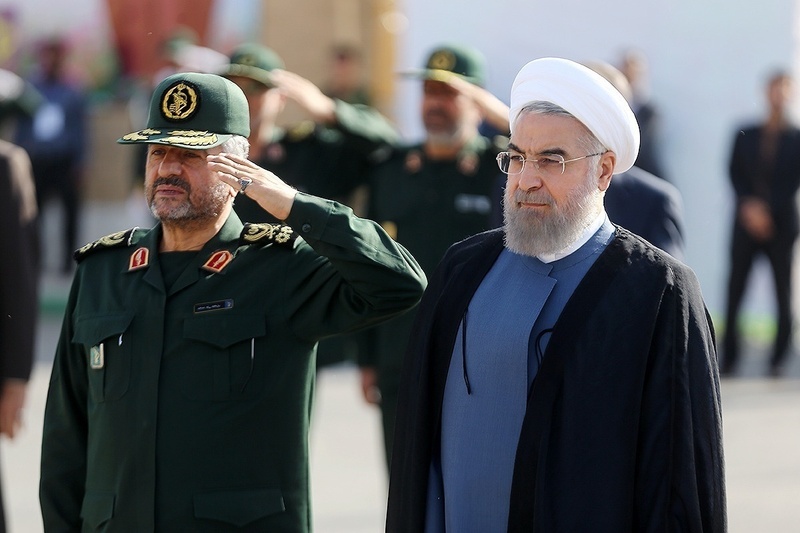 I have sensed what is being plotted covertly to target my life.” Although he did not mention the alleged threat by Velayati, the timing of his flight to Saudi Arabia, almost immediately after the Iranian official’s visit, lends plausibility to the report. The current Lebanese president, Michel Aoun, elected in October 2016 following a two-year vacuum in the country’s leadership, is a close ally of Hezbollah and a long-time associate of Bashar al-Assad. It is widely reported that Aoun attained his position due to backing from Hariri’s political bloc on the understanding that he would then appoint Hariri as Prime Minister. Hariri’s resignation brought immediate severe criticism from Hezbollah and Iran, which have accused Saudi Arabia of destabilising Lebanon, even accusing the Saudi leadership of holding Hariri hostage, despite the fact that he flew from Riyadh to Abu Dhabi on Tuesday for a meeting with the leader there before returning to the kingdom. 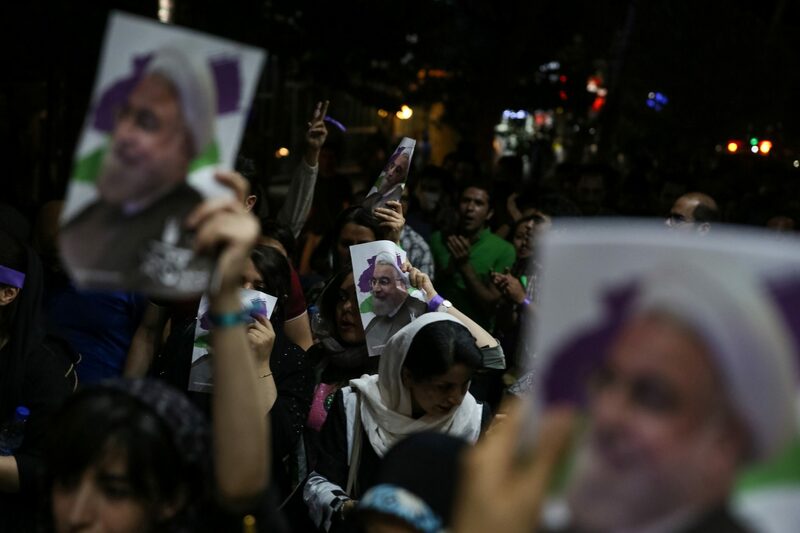 The leadership in Tehran is reportedly angry that the political turbulence is unlikely to serve its expansionist regional ambitions. 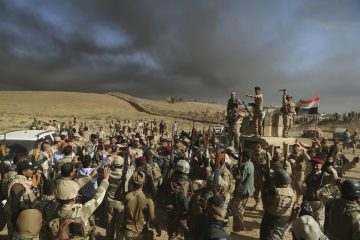 All this makes it likely that a war against Iran is on the horizon, despite the superpowers’ efforts to postpone this inevitable outcome in Iraq and Syria, with the US silent on Iranian-backed militias’ crimes in Kirkuk and elsewhere and on these militias’ use of US weapons, while Russia is intent on resolving the conflict in Syria and saving the Assad regime, which is militarily reliant for its survival on Iran and Iranian-backed militias, as well as on Russia. This reluctance on the part of the superpowers to engage Iran in Iraq and Syria, despite the carnage it has wreaked in both countries, means that the theatre of war is likely to move to Iran’s other Mediterranean stronghold, Lebanon, which has been unofficially largely controlled by its Hezbollah proxies since the sectarian militia was first formed in 1982. This has meant that the Hezbollah leadership in Lebanon, which was occupied by the Assads for decades, has also supported the Assad regime against the Syrian people, as well as backing other sectarian Iranian proxies like the PMF (Hashd al-Shaabi) militias in Iraq in attacks on Sunni and Kurdish areas. Hezbollah, however, has lost the domestic and regional popularity it once enjoyed when it fought against Israel, with its crimes in Syria and Iraq on behalf of the Iranian regime meaning it’s now widely viewed with contempt. The Tehran regime maintains power over Shia in Lebanon, as well as regionally and globally, through its exploitation of the Shiite Velayet-e Faqih (Leadership of the Jurist) doctrine according to which the Supreme Leader, currently Ayatollah Khamenei, is a divinely anointed spiritual leader whose word is infallible; the regime has used this to promote its regional wars and expansionism as being part of a drive to build a Shiite “Islamic nation”. Without more Shiites rejecting the legitimacy and result of this catastrophic decision, the regime in Iran, which has already created over 300 sectarian militias, including Hezbollah, will continue to tear apart the region and to send young Lebanese and other men to die for its sectarian empire, as well as promoting the inevitable sectarian backlash from Sunnis, who form around 90 percent of the regional and global Muslim population. 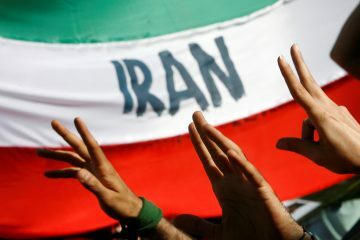 To avert this grim scenario, it is, therefore, imperative that Tehran and its Hezbollah proxies be isolated in all ways – economically, politically, diplomatically and financially. In light of the above points, the recent steps by Saudi Arabia’s Crown Prince, HRH Mohammad Bin Salman, are a timely response in an effort to end the Iranian regime’s disastrous regional interventions while resisting Tehran’s efforts to use any tensions as a means of inciting Shiite-Sunni war. 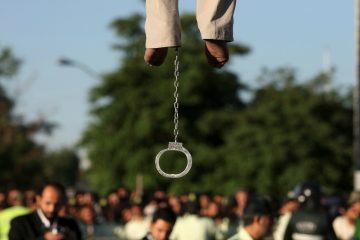 Whilst the Arab nations can unite against Iran’s regional brutality, within Iran the onus is on the country’s people, long brutalized by the totalitarian regime which uses the Velayet-e Faqih doctrine as a fig leaf for its cruelty domestically as regionally, to uproot their oppressors and say “Enough is enough”. Saudi Arabia believes that Hezbollah has proven time and again, that its claims to represent resistance are a shameless lie; in truth it is simply an Iranian proxy, a tool for the Velayet-e Faqih regime to increase is regional power and influence in the Arab world and to destabilise Arab nations. The GCC countries have accordingly designated Hezbollah as a terrorist group, with Saudi Arabia withdrawing its financial support to the Lebanese military and security services in order to ensure that the group cannot exploit this support in any way. Although there has been no official statement from Saudi Arabia on the real reasons behind its support for Hariri’s resignation, all indications suggest that Saudi Arabia has been increasingly unhappy with the regional situation since 2016; although the Saudi leadership did formally endorse Michel Aoun’s presidency, his appointment failed to reduce Hezbollah’s and Iran’s controlling influence as hoped, with the group and its backers in Tehran instead becoming more powerful. From Saudi Arabia’s perspective, therefore, Hariri’s resignation is a positive factor in helping to erode the legitimacy attained by Hezbollah through its connection with the Lebanese government. Returning Lebanon to the stage which it was at prior to Hariri’s appointment as Prime Minister will also thwart the Iranian regime’s efforts to politically reshape the region. Such strategic political actions provide a peaceful way to deal with Tehran’s negative influence, with Iraq set to see similar political steps as a means to help dismantle the Iranian-backed PMF militias there and avoid the growth of other terror groups.